Antonio Guterres, the UN Secretary General, in his statement commented on the U.S., Britain and France attacks in Syria, and called for acting in compliance with the UN Charter. “I have been following closely the reports of air strikes in Syria conducted by the United States, France and the United Kingdom. 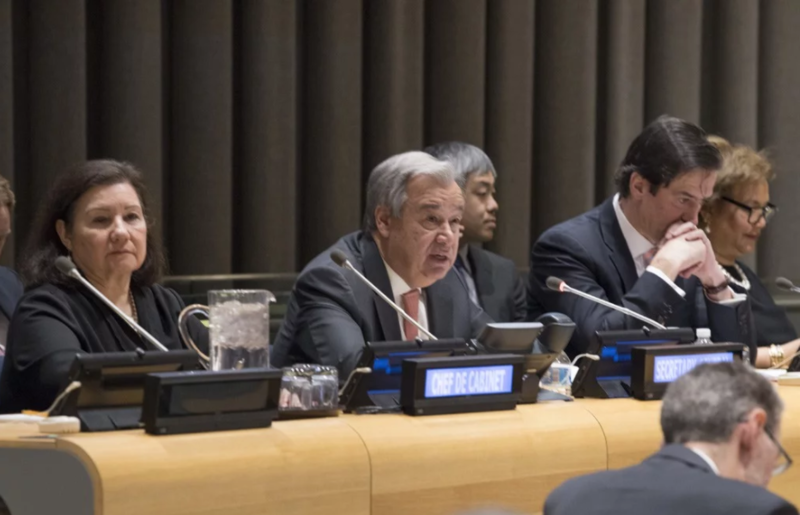 There’s an obligation, particularly when dealing with matters of peace and security, to act consistently with the Charter of the United Nations and with international law in general,” Guterres said. The UN Secretary General did not condemn the actions of the states, which conducted attacks in Syria. He said that the UN Security Council is responsible for the peacekeeping. As it was reported earlier, the UN Secretary General said that the Cold World was back. According to him, the tools which impeded the escalation of the tension between the USA and USSR, have, probably, disappeared.